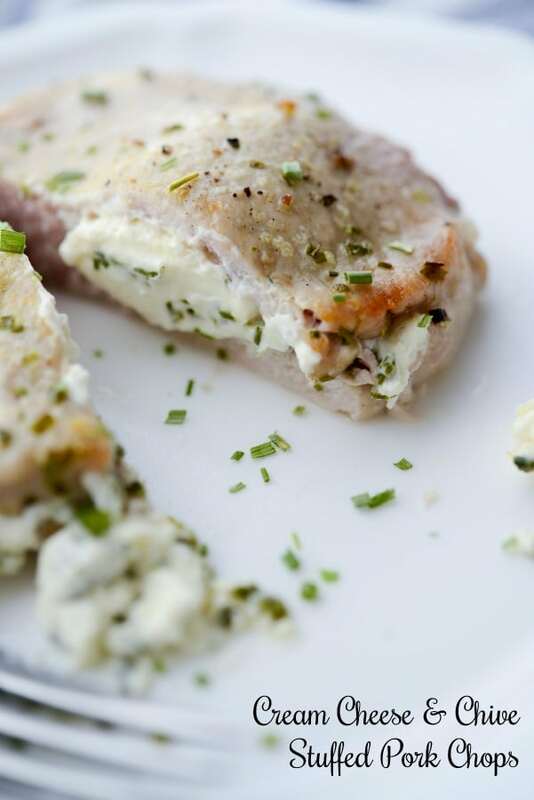 Cream Cheese and Chive Stuffed Pork Chops are a simple to make, quick weeknight meal that are gluten free, low carb and Keto Diet friendly. Eating ‘low carb’ is extremely popular right now. 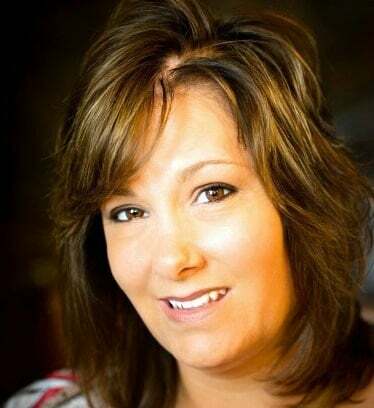 Some people do it to help loose excess weight and some may eat this way for dietary or health reasons. 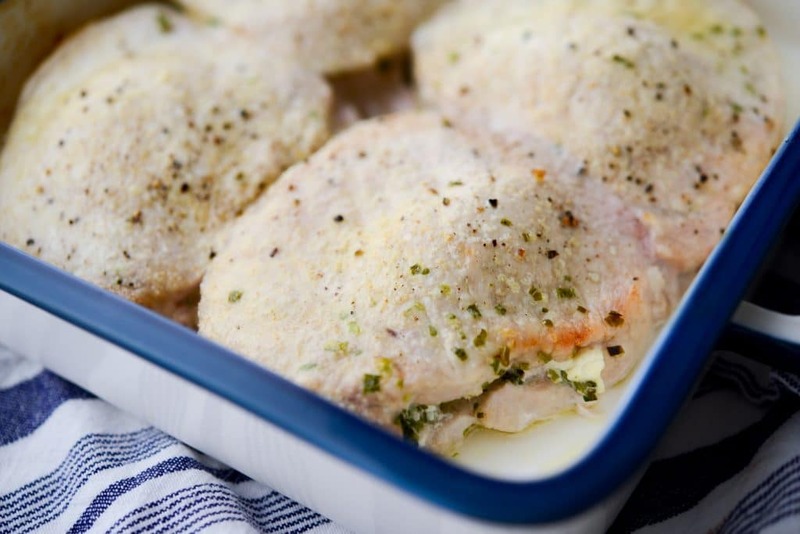 Even if you’re not conscientiously trying to eat a low carb diet, these Cream Cheese & Chive Stuffed Pork Chops will be a new favorite weeknight dinner for everyone. Boneless, center cut pork chops are a weekly staple at our house; mainly because I don’t like seafood. But when you’re also cutting out carbs, meals that are made with pasta and beans are also not on the dinner list so I’m left with chicken, beef or pork as my options. 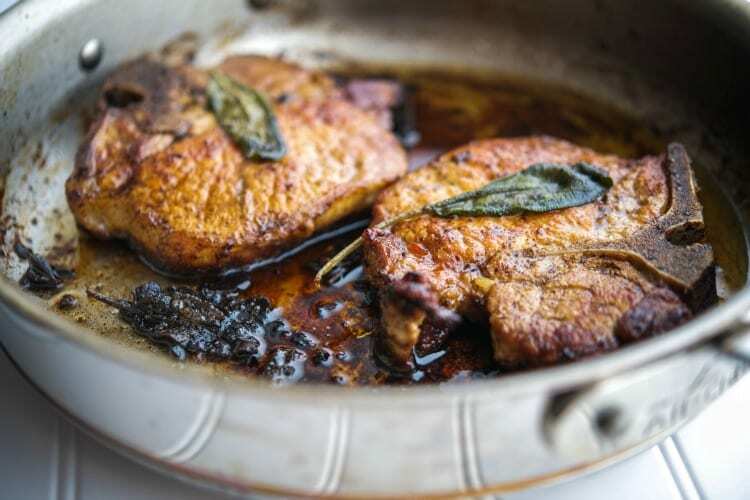 Last week I had taken out some pork chops for dinner and wanted to make a new recipe that was super easy and quick and this was it. 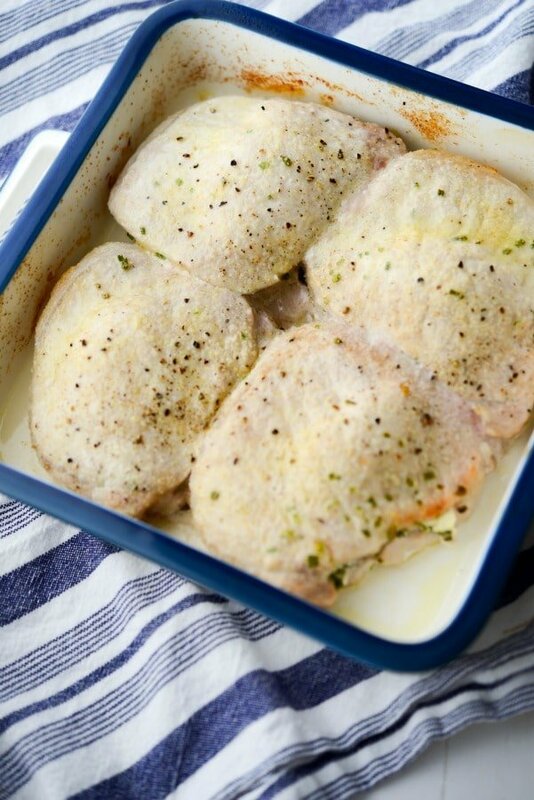 In fact, this recipe for Cream Cheese & Chive Stuffed Pork Chops was so easy, that I was even on the phone talking to my girlfriend in Texas while whipping these up at the same time. All you need are three ingredients and some pantry spices: boneless center cut pork chops, cream cheese and chives. You can use fresh chopped chives or dried; either way is fine. Cut a pocket into the pork chops by slicing them horizontally, but not all the way through; then add the cream cheese and chives. 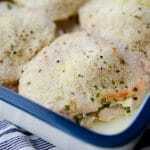 Lightly coat an oven safe baking dish with some cooking spray; then add the pork chops. Spray a little more cooking spray on top of the pork chops; then season with Kosher salt, fresh ground black pepper and a little garlic powder. You can add whatever seasonings you like, but I kept it simple. Next, place the dish in the oven and bake in a preheated 350 degree F oven for 30-35 minutes. Time may vary depending on the thickness of your pork chops, but if you insert a meat thermometer into the thickest part of the pork chop (the back part where there isn’t any cheese stuffing) the minimum temperature should be at least 145 degrees F.
Though these Cream Cheese and Chive Stuffed Pork Chops look a little bland because there is no golden looking breading on top, they were incredibly moist, cheesy and flavorful. If you don’t care about eating low carb, by all means you can bread the chops before baking by dipping them into flour, egg wash and breadcrumbs first. ~Enjoy! 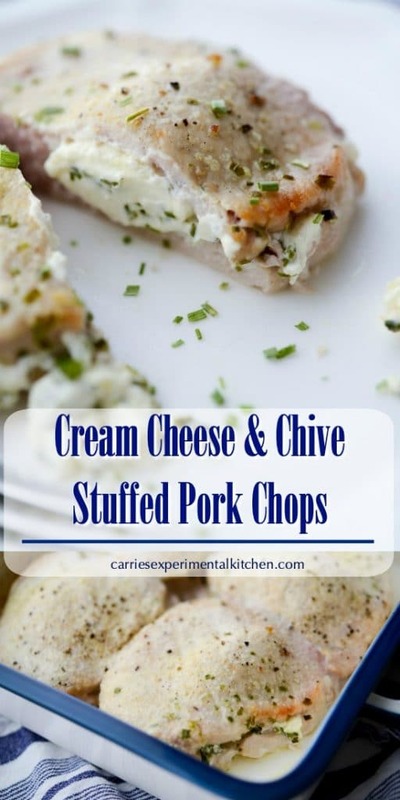 Cut a pocket into the pork chops by slicing them horizontally, but not all the way through; then add the 1 ounce of cream cheese and chives to each chop. 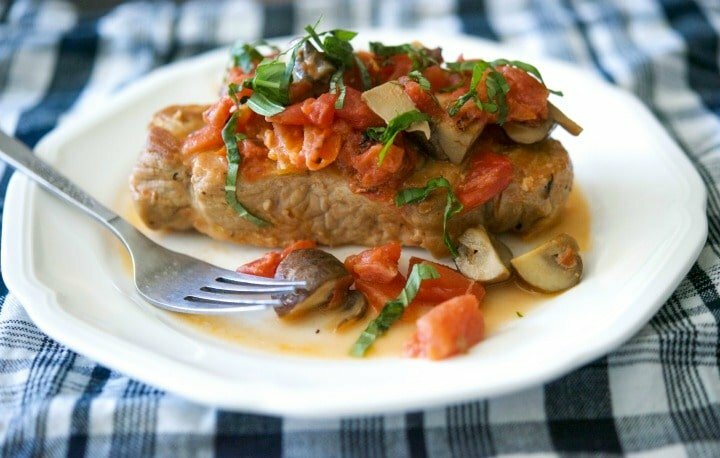 Lightly coat some cooking spray in an oven safe baking dish; then add the pork chops. Spray a little more cooking spray on top of the pork chops; then season with salt, pepper and garlic powder. Next, place the dish in the oven and bake for 30-35 minutes. 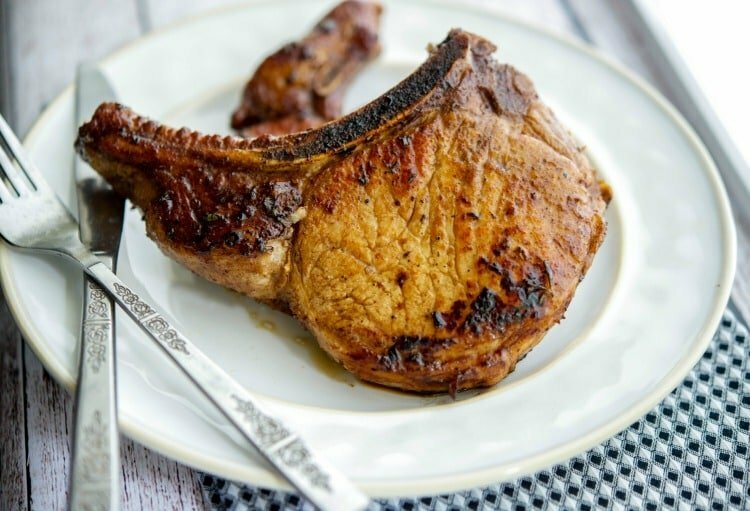 (Time may vary depending on the thickness of your pork chops, but if you insert a meat thermometer into the thickest part of the pork chop-the back part where there isn't any cheese stuffing- the minimum temperature should be 145 degrees F.
Visit the Recipe Index for more Keto, low carb or pork chop recipes!